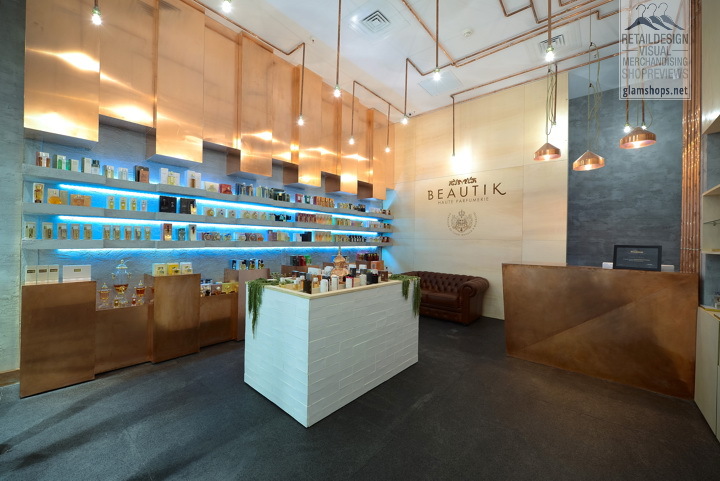 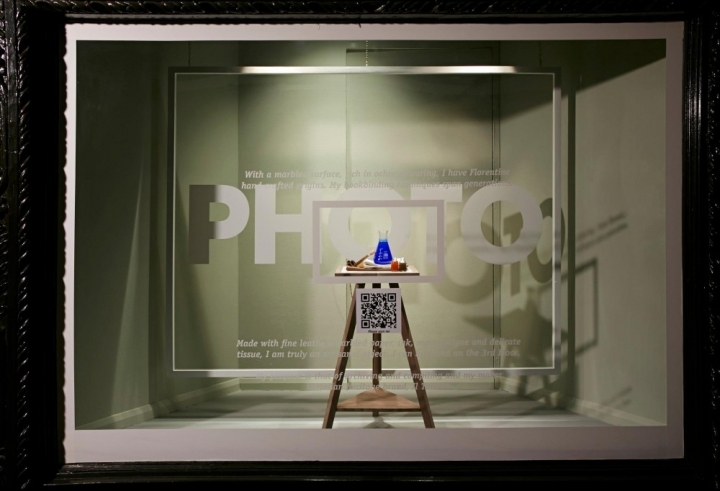 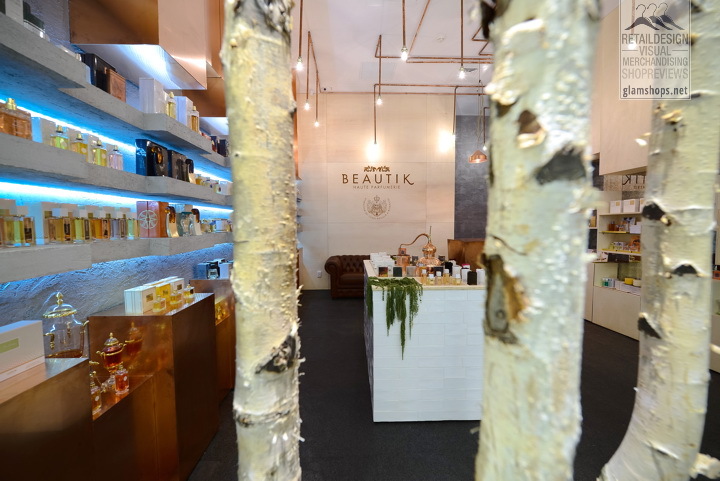 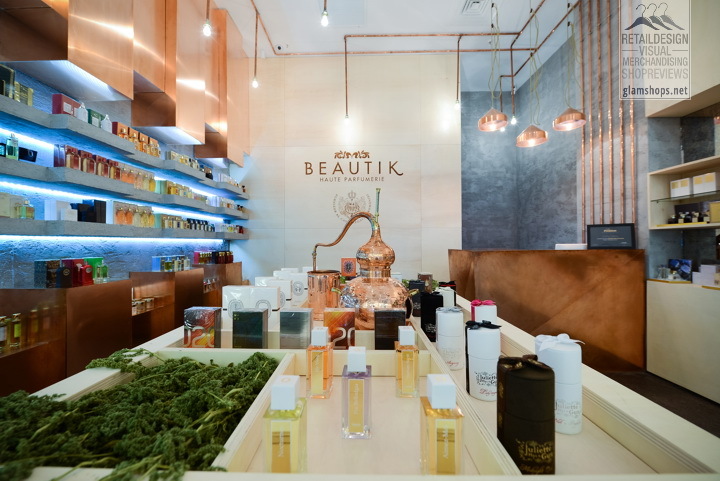 Beautik Haute Parfumerie Promenade Mall, a concept store dedicated to niche perfumes. 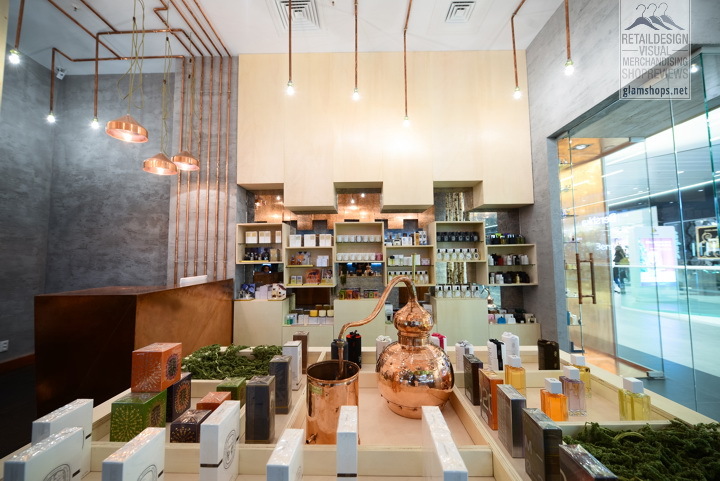 The perfumery is inspired by copper, a living element with iridescent velvety texture and lush , which is used since ancient times for distilling essences instruments . 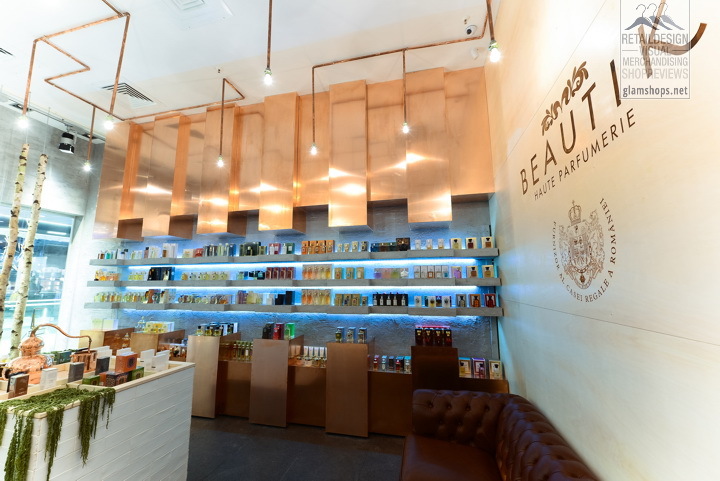 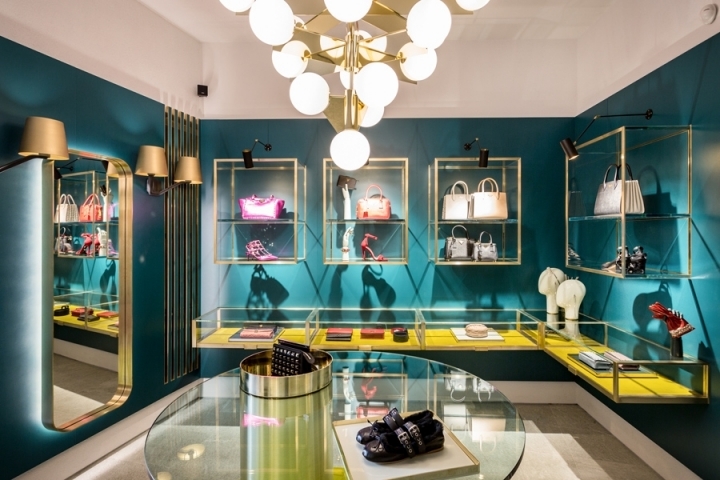 Along with the other elements such as wood, leather, antique mirrors and green inserts , they make up a warm atmosphere , a delight for the senses.